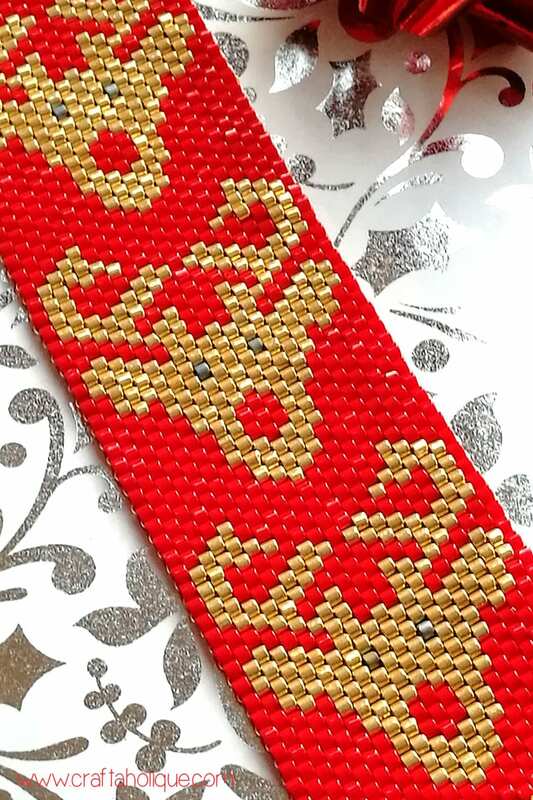 Today, I’m really excited to share with you a little beading project I’ve been working on – my Rudolph Reindeer Peyote Beaded Cuff Bracelet! I absolutely loved making this, it’s been keeping me quite busy for the last week or so. I created the pattern myself using some bead pattern software that I have and then proceeded to make the bracelet using only the finest Miyuki Delicas in size 10/0. I finished the bracelet off with a gold tone toggle clasp. 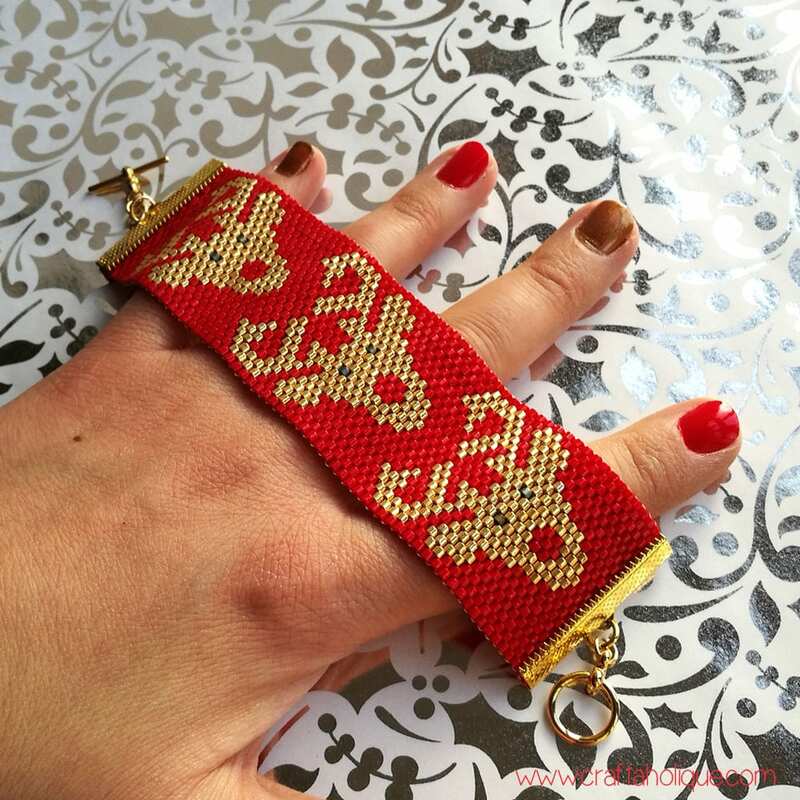 The finished bracelet size is around 6.5 inches in length (with clasp added) and just under 1.5 inches width. What do you think? Would you like to make one too? If so, I have the pattern available for you! I have decided to sell this one because of the amount of time I’ve put into creating it. I recently opened my own Etsy shop and you can find the pattern on there for £4.79 (around $6). Click here to see this pattern listed in my Etsy shop now! This is a digital pattern, so you will receive this once your PayPal payment has been processed! If you do decide to purchase this pattern, you’ll need to gather your own materials. You’ll need Miyuki Delicas in size 10/0, beading thread, a beading needle and a clasp. For my bracelet, I used gold tone flat ribbon ends size 35mm (I got these from eBay as part of a bulk set as it was such great value) and then added a toggle bar clasp like this one. (Please note these are affiliate links). 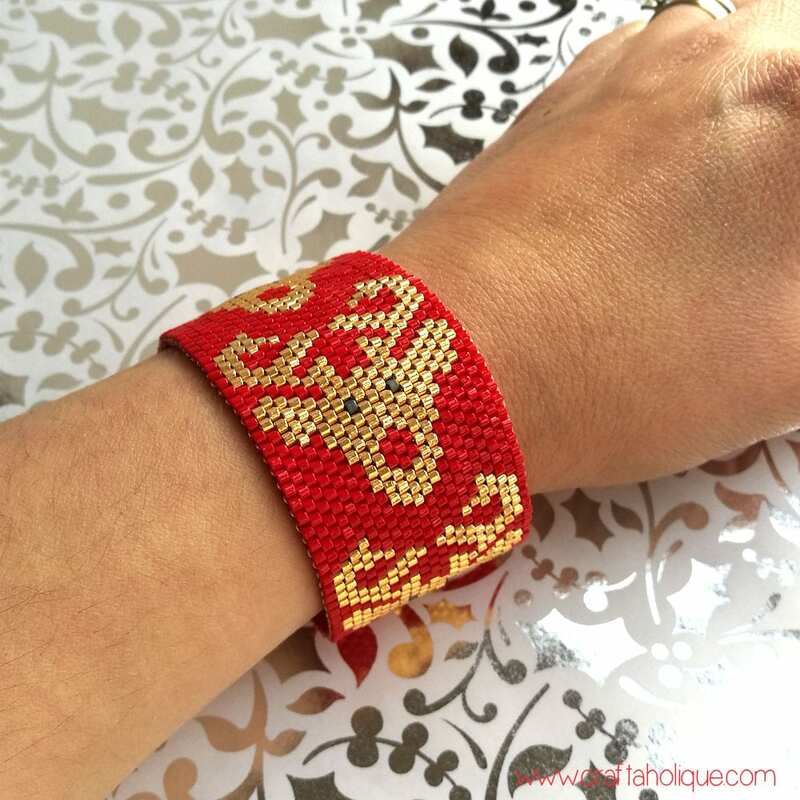 If you are planning to make this bracelet, you’ll need to know how to do flat odd count peyote stitch, because there is an odd number of beads per row. This is a good tutorial on how to do this if you’re not familiar with the stitch. Wouldn’t this be a pretty cool bracelet to wear on Christmas Day? Maybe you know someone who would love to have a go at this pattern themselves? If so, please take a minute to share this post online with your social media followers. YES! GIMME THE RUDOLPH REINDEER BRACELET PATTERN NOW! 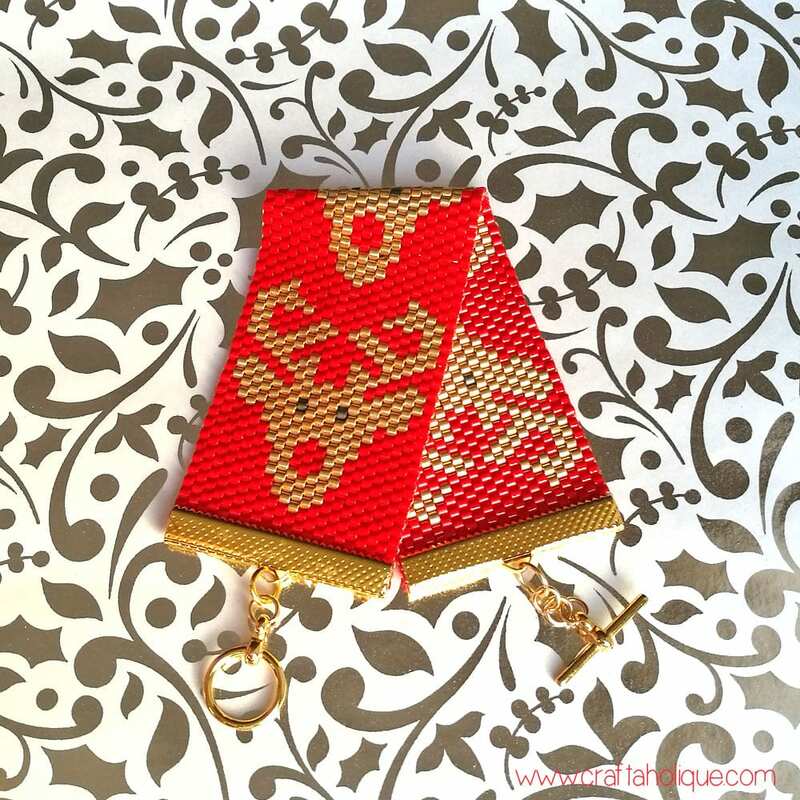 14 Christmas Gifts That Beaders & Jewellery Makers Will Love! *Affiliate links to Etsy and eBay are contained in this post. This means that I will receive a small commission should you decide to purchase anything through one of my links, at no cost to you. I only ever recommend products that I think are great and any commissions received help me to keep this site up and running! Thanks for using my links if you are able to! *Above images are the copyright of Craftaholique.